A bifocaled Pan-Africanist gripped by grace. Carla Harris, Morgan Stanley's Vice Chairman, Global Wealth Management and Senior Client Advisor, discussed the importance of having events like PowerMoves Miami. Impressed by the caliber of entrepreneurs at this year's conference, she stated, "PowerMoves Miami has been able to source high quality, high growth entrepreneurs and develop them." She predicted that PowerMoves Miami will be the place for great investors and entrepreneurs of color to meet and build with one another. "This will be the place where you will be able to find entrepreneurs of color on a larger scale." Sheila Herrling, Case Foundation's SVP of Social Innovation, said the same. In a conversation, Herrling mentioned that the obstacles preventing the visibility of entrepreneurs of color is due to the standard myths of entrepreneurism which, in turn, affects participation. To offset this, she shared, we must "tap into the social capital" that entrepreneurs of color possess-something she feels PowerMoves is doing in real time. Earl Robinson, CEO of PowerMoves and the New Orleans Startup fund, stated that, "people tend to overcomplicate entrepreneurship. When a really talented entrepreneur receives the right capital it can assist his/her community. PowerMoves was put in place to "even out the unevenness of wealth distribution in some communities and make sure those communities have heroes that are well resourced." Of the 11 female entrepreneurs of color to ever accrue over a million dollars for their companies, 4 came through PowerMoves. This impressive track record speaks to the tremendous impact of this organization and highlights the fact that the fast growing number of entrepreneurs in the U.S. are black women, who have grown in number by an outstanding 322% since 1997 (Fortune). Relocating from NOLA, the 2016 PowerMoves Conference worked in conjunction with Black Tech Week to inject African American and Afro Caribbean entrepreneurs into Miami's financial ecosystem. Felicia Fletcher, founder of Black Tech Week, asserted that: "You have to build the city that you want. Black Tech Week is our gift to the ecosystem in Miami... There is such genius and raw talent in our community. We don't need to leave our community to be successful." She was echoed by the Knight Foundation's Matt Hagan, who affirmed the viability of Black businesses in stating, "Ecosystems are what we focus on. Diversity is our competitive advantage." For me, to see entrepreneurs of color coalesce from across the country to pitch, share, and develop their ideas was awe-inspiring. Over the past few years, there has been a call for Black communities to take ownership over their commerce. At Black Tech Week, our community came together to do just that. PowerMoves Miami proved that it's time to for Black entrepreneurs to step into the spotlight and shine in their brilliance. 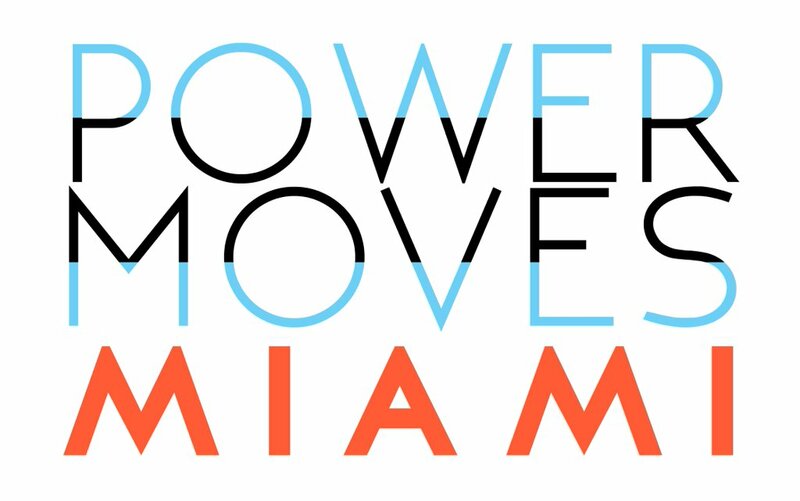 With a tremendous need to see entrepreneurs of color make an impact in their communities and in the economy at-large, PowerMoves Miami is a much needed resource. With the success of Black Tech Week, it is my hope that this model is duplicated across the country. Innovative minds nationwide have much to gain from such a resourceful and forward-thinking organization.